The United States won its 100th gold medal at the Winter Olympics after snowboarder Shaun White's clinched top honors in the halfpipe. White became the first snowboarder to win three Olympic gold medals and the first American man to win gold medals at three Winter Games. He also became is the fourth American snowboarder to win gold in Pyeongchang after wins by Red Gerard, Jaime Anderson and Chloe Kim. Of the 100 United States' 100 gold medals, long track speed skating has resulted in the most with 29 golds. The United States remains in fifth place in the medal table. Germany sits atop the medal stand with seven gold medals, two silvers and three bronze medals. The Netherlands and Norway have 11 medals each, respectively. 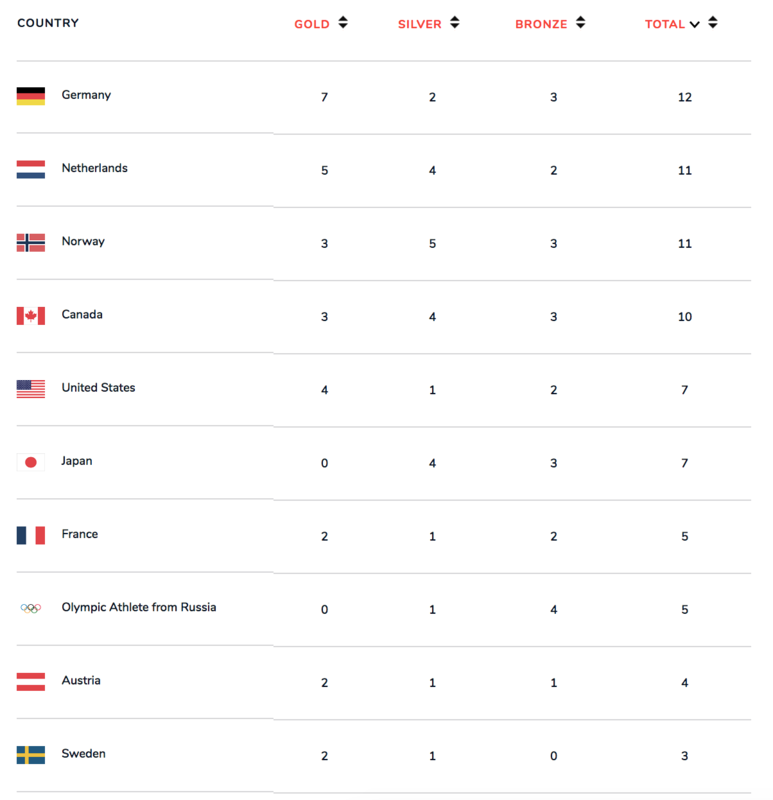 As of Wednesday evening in South Korea, Norway leads the all-time medal table with 121 golds medals. The United States is second and ahead of Germany's 92. For a current tally of all the medals, check out our live tracker right here. Come back tomorrow for an updated look at who finished on the podium.